SMIDGE OF THIS: You Put Bacon On A Cookie?! Wednesday was my girlfriend Allie's annual cookie exchange playdate. Good, good times. You get the energy zapped out of your kiddos from two hours of play, and you get them home right in time for naptime ... with a fresh box of assorted homemade cookies in arms reach of your deserving self. 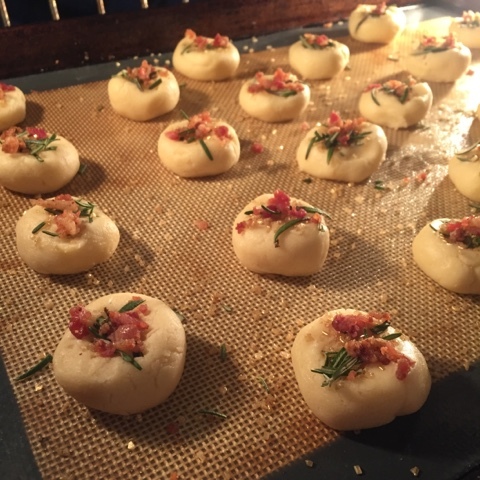 Oh, and my cookies had BACON on them, so obviously I'm going to share about that! 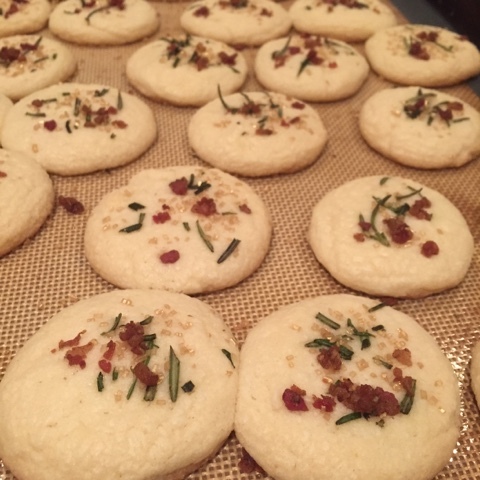 Last year I cut corners big-time and added sugar and fresh rosemary to break-and-bake sugar cookies. And people LOVED them. You can catch that "recipe" (ehhh) right HERE. This year I got alllllll fancy and bypassed the break-and-bake sugar cookies for the kind in a bag where you have to add butter and an egg. Just call me Ina. 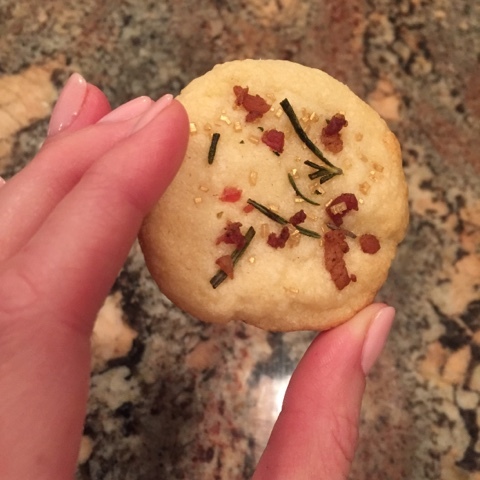 And then I used sparkly gold sugar instead of white sugar, and I added the rosemary, and then I added bacon. Not freshly cooked bacon, but the bacon crumbles that come out of a bag. And that type fit the bill perfectly for these cookies! Even before being baked, they looked pretty! I baked them according to the back of the sugar cookie package -- no tweaks. Just 8 minutes at 375 degrees. Food blogger I am not, and food photographer I am not. But I am a cookie lover, and I can tell you that these were perfectly salty and herby and sweet and delicious. 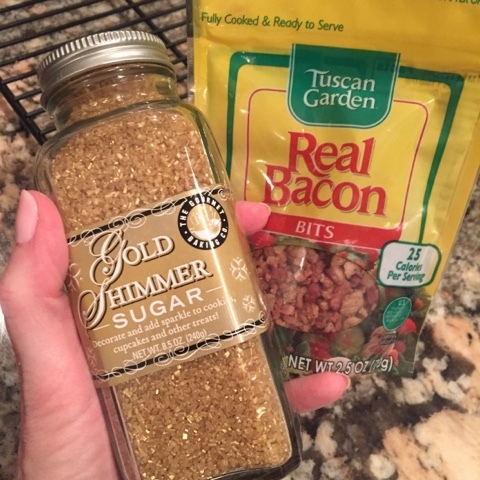 So if you're looking for a fun tweak to packaged sugar cookie mix, well by golly, don't forget the bacon! What a fun idea to jazz up plain ol' sugar cookies!! I'm going to have to remember this for my next Bunco night! Oh my goodness. The picture of the kids, priceless!